More than 700 million farm animals are raised in Canada each year and more than 120 million of those animals (livestock and poultry) are raised in B.C. (according to census data). Advocating for improvements to animal welfare on farms allows the BC SPCA to have a positive impact on one of the largest animal populations in the country – farm animals! 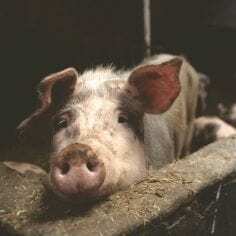 Livestock includes farmed cattle, pigs, and sheep. Poultry includes farmed turkeys, egg-laying hens and broiler (meat) chickens. 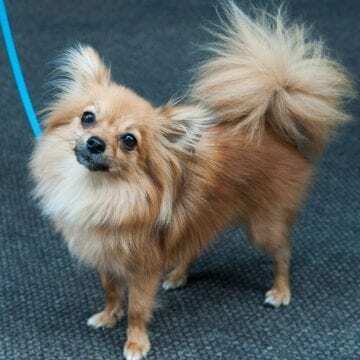 Companion animals include family pets. 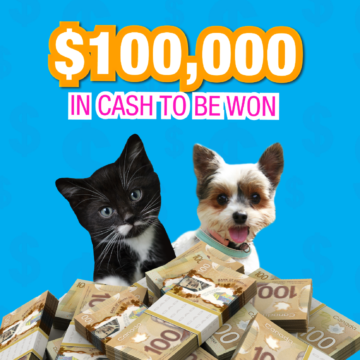 The BC SPCA is a member of Humane Canada – an organization that acts as the national voice of more than 50 member SPCAs and humane societies in Canada. The BC SPCA and Humane Canada work together on advancing farm animal welfare in Canada. The National Farm Animal Care Council (NFACC), a non-profit organization, coordinates development of what are called the Codes of Practice for the Care and Handling of Farm Animals. The Codes outline ‘generally accepted practices’ for farm animal care. When it’s time for the Codes to be updated, NFACC assembles a committee of representatives from the farm industry, retail and food service industry, universities, SPCAs and the veterinary community to write each code based on scientific research and public values. The BC SPCA partners with Humane Canada to represent the animal welfare community on these committees. During the revision process, the Code committee must come to an agreement on what the minimum animal care requirements and recommendations in the Codes will be. It takes compromising on everyone’s part. Each Code then goes through a 60-day public comment period where any member of the public can provide feedback on what is written. The BC SPCA encourages the public to have their say on how farm animals will continue to be cared for by participating in the public comment periods for the Codes of Practice. Following a public comment period, the Code committee considers all the feedback received and makes the last revisions to the Code before it is published. Be sure to stay up to date on progress so you can participate in the public comment periods! Since 2009, and with the public’s help, the BC SPCA has successfully negotiated improvements to the Codes of Practice for beef and dairy cattle, veal calves, egg-laying hens, meat chickens, turkeys, meat rabbits, pigs, mink, foxes, sheep, horses, goats, farmed deer and bison. Our goal is for farm animals to receive the Five Freedoms, including better living conditions, more space to move, less pain, prompt veterinary care, more opportunities to be with other farm animals of the same kind and to behave as they would naturally. In this short, three-minute video you will learn more about the Code of Practice development process and how you can get involved. Some of the national livestock industry groups (e.g. Dairy Farmers of Canada; Chicken Farmers of Canada) develop on-farm assessment programs after the revision of their Code. Such programs are used to audit farmers to make sure they are meeting all minimum animal care requirements outlined in the Code. As a representative of Humane Canada, the BC SPCA participates on these committees to develop and refine on-farm auditing programs. The BC SPCA has also developed its own in-house farm certification and food labeling program, SPCA Certified, with the aim of improving farm animal welfare beyond the minimum requirements outlined in the Codes of Practice. 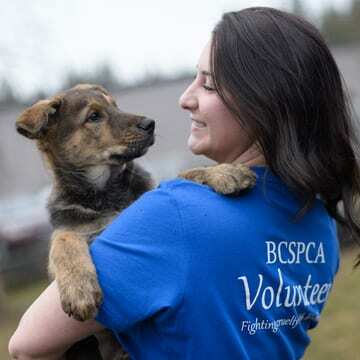 The SPCA Certified program was launched in B.C. in 2002 but has since expanded across Canada to certify farms in other Canadian provinces. Learn how the SPCA Certified program works to improve the lives of beef cattle, dairy cattle, pigs, sheep, turkeys, egg-laying hens and broiler chickens and where you can go to meet SPCA Certified farmers or buy SPCA Certified foods. Canada’s organic standards outline generally accepted practices for farmers raising certified organic farm animals. The BC SPCA serves on the Canadian General Standards Board’s Committee on Organic Agriculture. As a member of this committee, the BC SPCA presses for more strict animal welfare requirements to be defined in the Canadian Organic Standards. The BC SPCA supports the mission of the organic farming industry and will continue to collaborate with organic associations across Canada on improving farm animal welfare in organic production systems. The organic standards were last updated in 2015 and there were many important improvements made to farm animal care practices. Access the full 2015 Canadian Organic Standard and the complete list of animal welfare improvements (PDF). Learn how organic standards compare to SPCA Certified and the Codes of Practice (PDF). In June 2018, an announcement was made that the next review of the Canadian Organic Standards would begin. In September 2018, the revision process got underway, and the BC SPCA again holds seats on each of the revision committees related to farm animals. Completion of the next Organic Standard is anticipated to occur in November 2020. To review the current standard and propose a specific revision for the committees to consider, visit the Organic Agriculture web page.